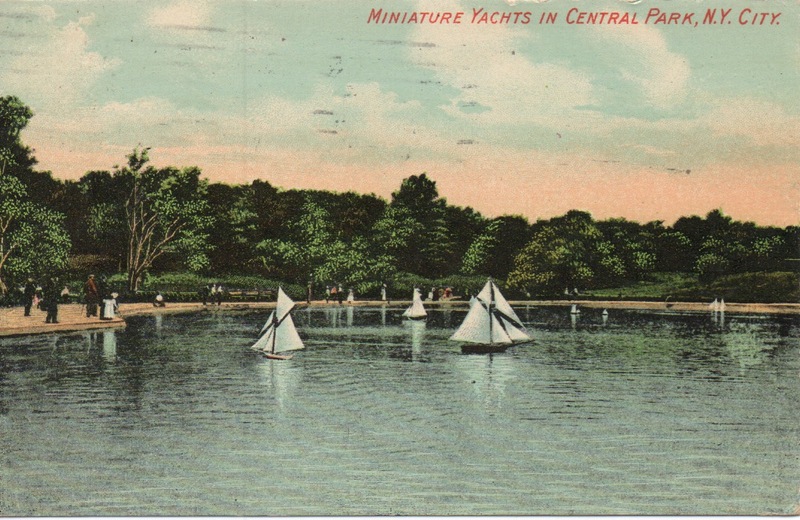 Most New Yorkers know this body of water as a the sailboat pond, a peaceful spot near Central Park’s East 72nd Street entrance that often has toy sailing boats gliding along the surface. But Frederick Law Olmsted and Calvert Vaux, the park’s brilliant designers, conceived it as the “Conservatory Water,” a pond that was originally supposed to be part of a large glass conservatory, or greenhouse. Financial problems made building the conservatory impossible. But the water remains, a lovely place to sit and enjoy the park’s gentle beauty. 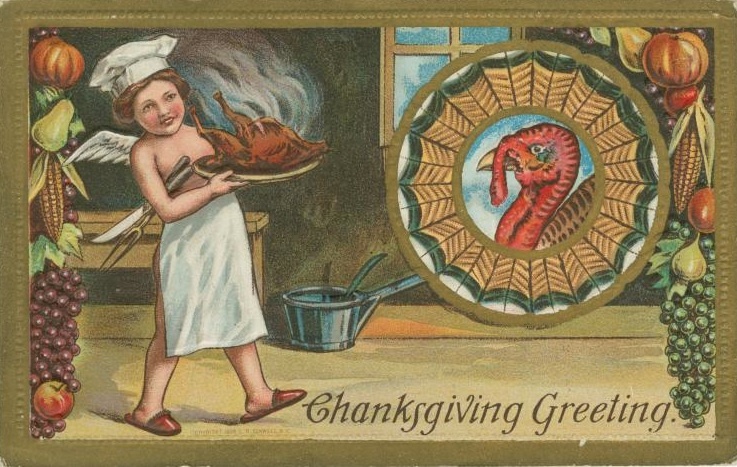 Happy Thanksgiving cards became a thing around the turn of the last century; the New York Public Library’s Digital Gallery has a nice collection of them. This one serves a dual purpose: it’s a cozy greeting with an angel and traditional harvest symbols . . . and an advertisement for the coal that powered late 19th century New York City stoves. 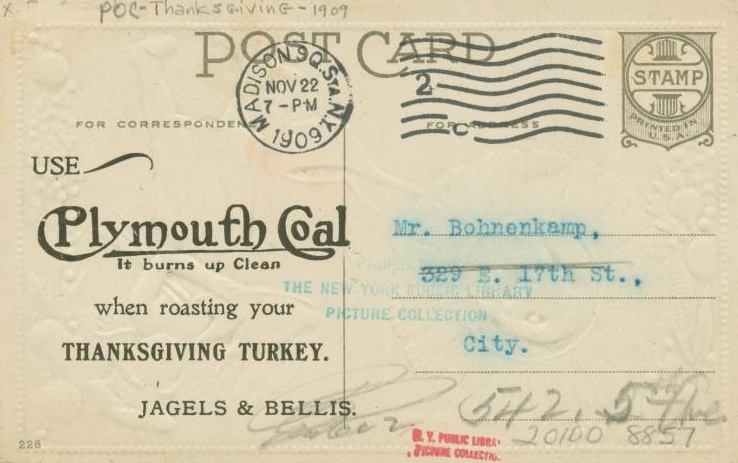 Mr. Bohnenkamp, at 329 East 17th Street, surely had one in his townhouse kitchen! Jagels & Bellis was a coal wholesaler based in Hoboken. 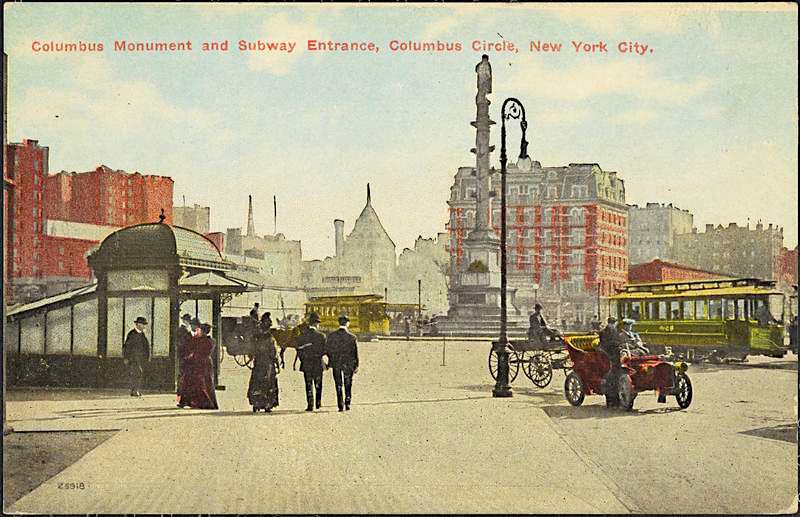 The opening of the subway was so incredible in the first decade of the 20th century, the new stations were frequently the subject of penny postcards, like this one, with its above ground and inside view. Judging by the automobiles entering the park near the Washington Arch, this looks like an early 1920s view of Washington Square. So much is different from the park today though: no playground, no fences, no dog run. Just small-scale, landscaped walkways, an unglamorous fountain, and a mysterious little building in the center that could be a comfort station. The back of the card tells of romance in the park. “Here is one of our little parks, so you can see it is not all business down here,” the presumably male writer says. 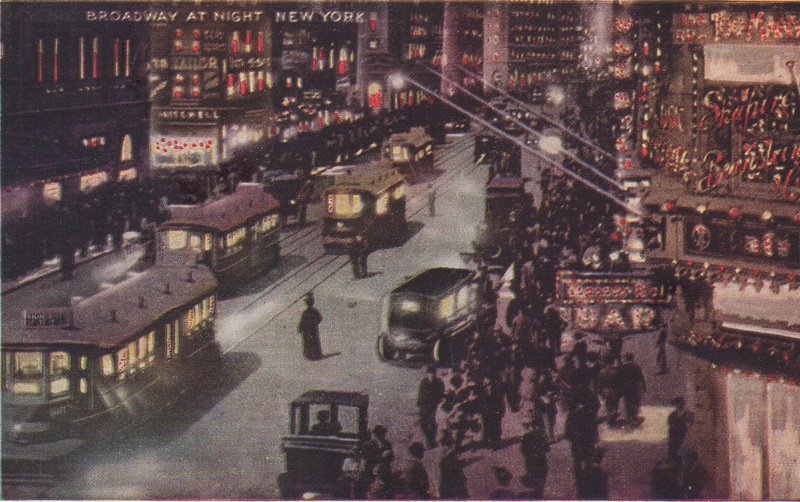 Looking at this postcard, you can almost feel the heat from the colorful lights of theater marquees and restaurants, and hear the whirling of the cable cars as they rush down Broadway. 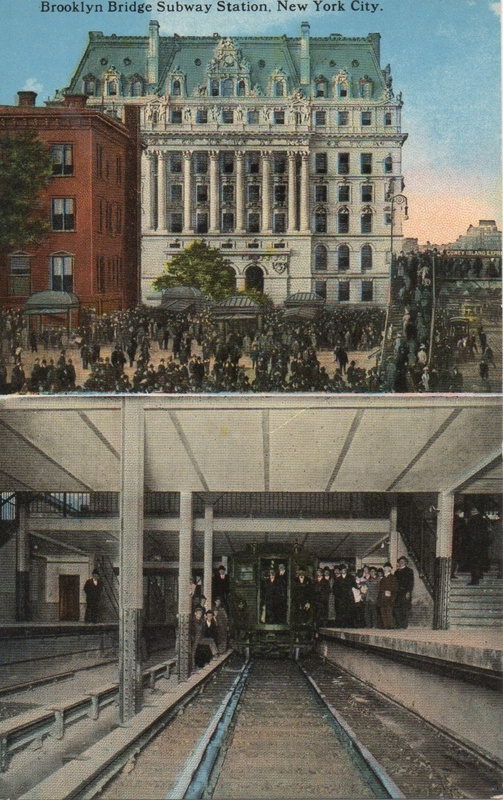 “This view, in the centre of the theatre district, shows the usual crowd of pleasure seekers, who nightly throng the famous ‘Great White Way,'” the back of the card reads. There’s no scandal surrounding this lovely, smaller-scale steel-arch bridge, which links Washington Heights to the Bronx. 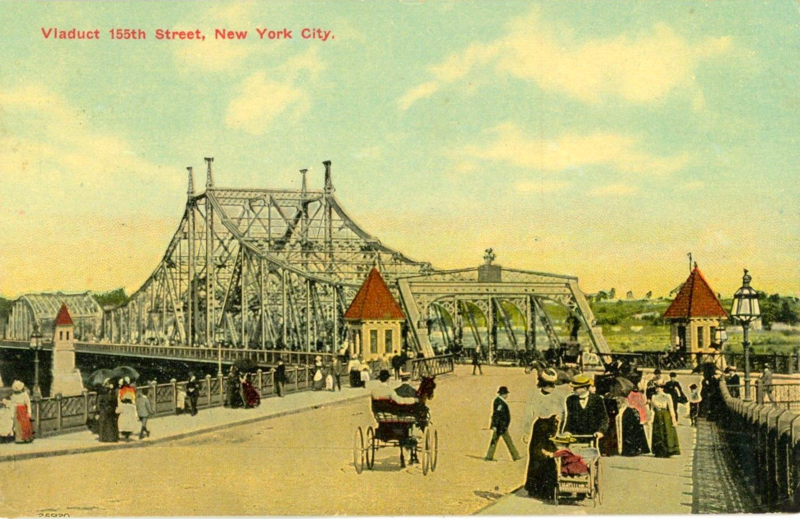 This postcard is undated, but it depicts a very sleepy Upper Manhattan. 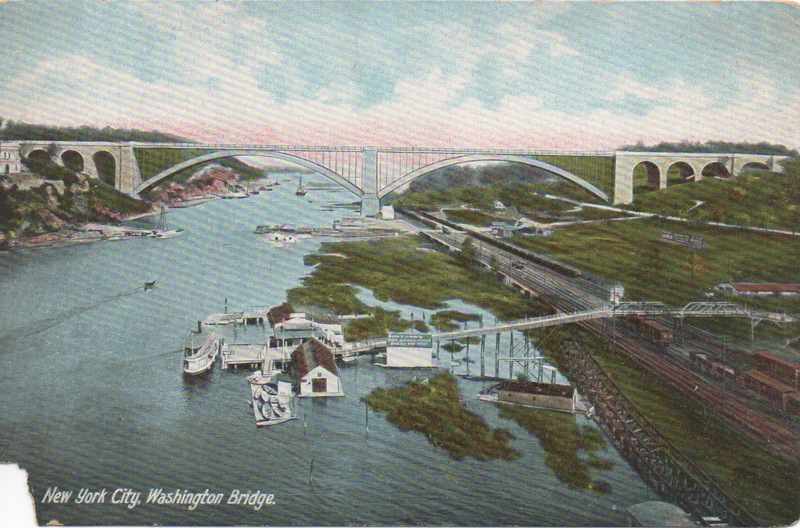 The Washington Bridge isn’t very well known and gets little love by New York residents. But it should. It opened to pedestrians in 1888 and vehicles in 1889, making it older than its similarly named, much bigger counterpart by a good 40-odd years! 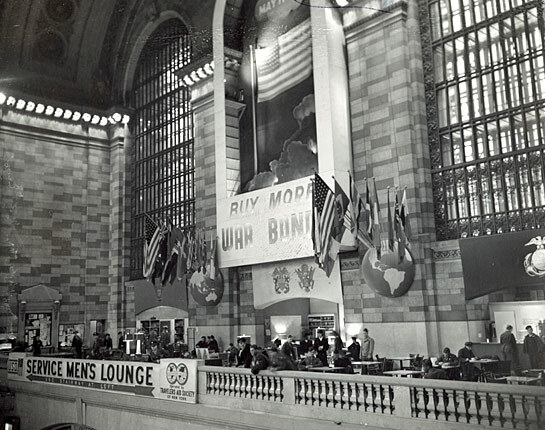 Wartime New York City was a very hospitable place for the thousands of enlisted men (and women) going off to fight in World War II or returning home on furlough. Take Grand Central Terminal, for example. 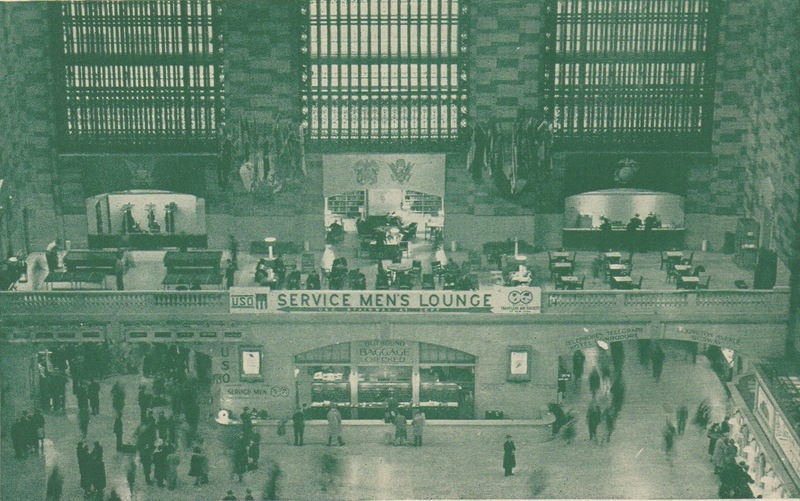 During the war, the East Balcony was turned into a “Service Men’s Lounge” by the New York Central and New Haven Railroads. 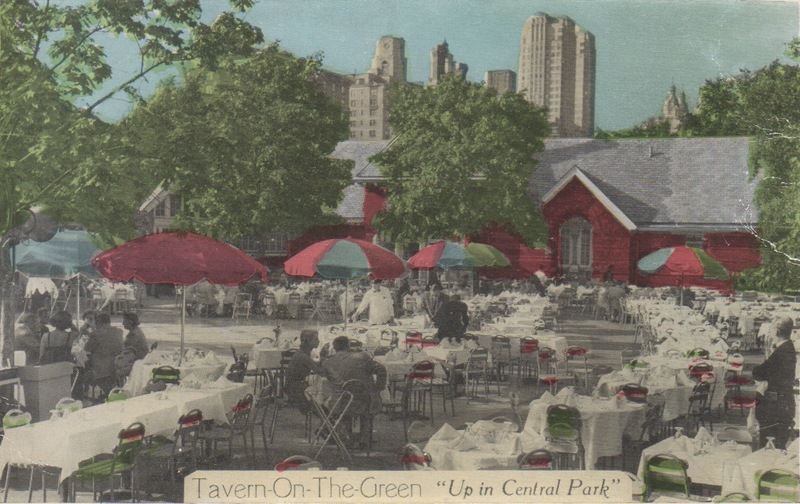 From 1934 to 2010, Tavern on the Green was the kind of touristy New York restaurant that a lot of city residents shunned. But the place had surprising roots in post–Civil War New York. 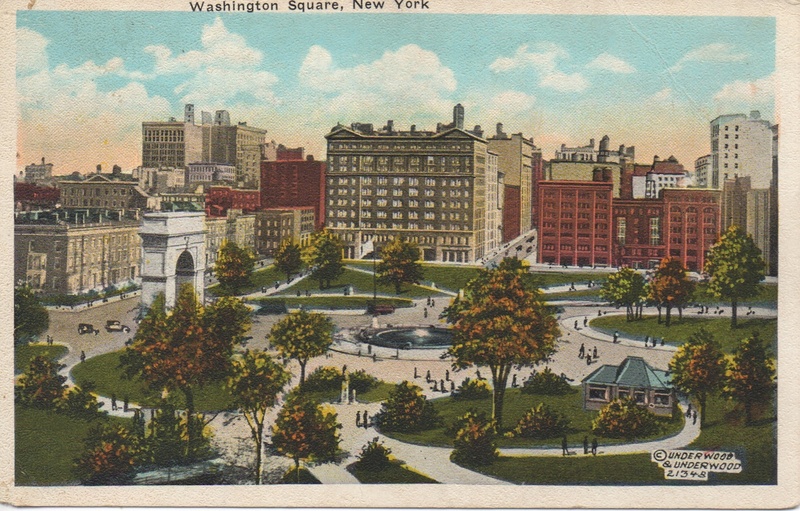 The gabled Victorian building where diners once feasted and danced (in the 1950s, at least, according to the back of this postcard) was constructed as sheepfold for a flock of sheep that grazed, yep, today’s Sheep Meadow. 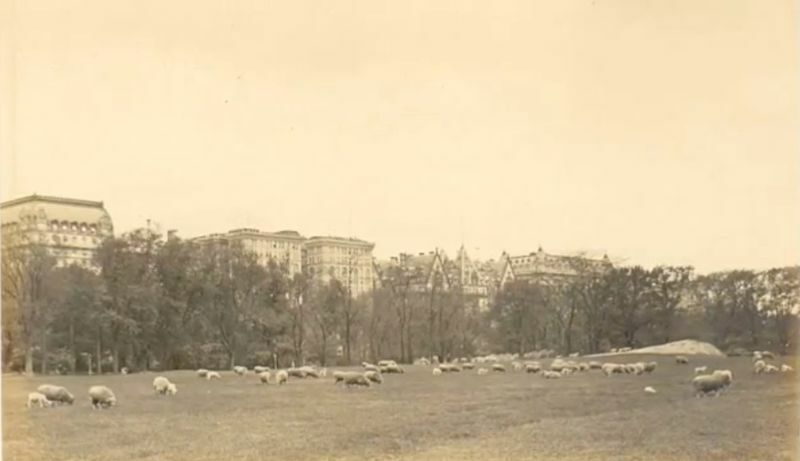 Frederick Law Olmsted and Calvert Vaux, the park’s designers, created a pastoral landscape—and 200 or so sheep hanging around and keeping the grass clipped certainly gave the park the feel of a retreat from urban life. In 1934, the sheep got the boot by Parks Commissioner Robert Moses, who had other ideas about how Central Park should serve the city. Plus, on a more gruesome note, apparently there were fears that the hungry, desperate men who built a Depression-era Hooverville in the park would kill and eat the flock!